I was in Mexico when the book finally arrived at my door, and that saddens me only because I didn’t have time to play in the kitchen before writing this review. 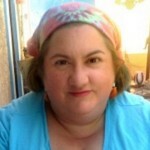 Like Ellen, the author (I hope it’s okay that I call her Ellen – we’ve never interacted in any way, but I feel a kind of kinship with her) I’m a homecook who doesn’t measure. I call my cooking style Kitchen Improv. For this reason, I was nodding and smiling while reading her notes about the recipes being guides rather than strict rules. Cooking should have room for personal taste and flair, and I love that she acknowledges that. I also really responded to her stories about her personal traditions – this book is as much memoir as cookbook – and her comment that her ornaments would be among the first things saved from a fire really hit home for me. My own ornaments have been collected, one at a time, throughout my entire life. I’m 45, and have been married almost 21 years, and to this day, my mother says that one of her saddest experiences was the year she packed MY ornaments separate from her own. The tone of the book is also quite accessible. 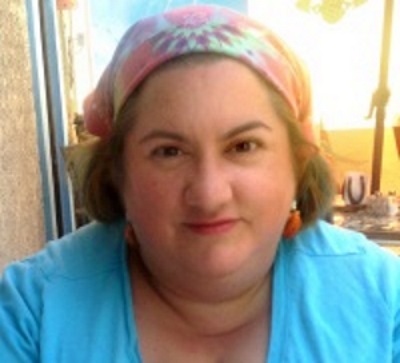 Ellen Stimson writes in a voice that makes you feel like you’re swapping recipes and stories with your best friend or (depending on your age) a favorite aunt. 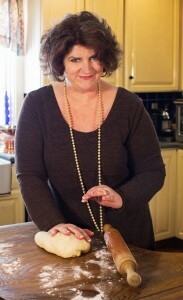 I haven’t read her memoir, Mud Season, but you can bet I just added it to my Amazon wishlist (along with one of those French rolling pins that are a solid cylinder rather than a dowel with handles). 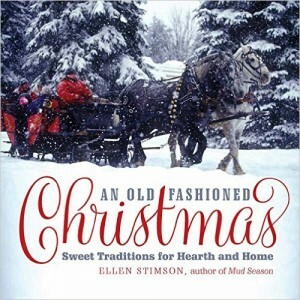 If you love winter, the holiday season, family traditions, or just cozy cooking, you will love this book. Goes well with: homemade sugar-glazed doughnuts (p 254) and freshly brewed coffee. 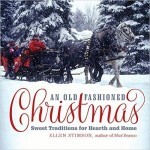 One lucky winner in the US or Canada can win a copy of An Old-Fashioned Chistmas: Sweet Traditions for Hearth and Home. To enter: Leave a comment on this entry (include a working email address – only I will see it) telling me about your favorite ornament or favorite holiday tradition. (It doesn’t have to be Christmas – if you have a Hanukkah, Kwanzaa, Diwali, Yule, or secular winter tradition, tell me about that). You can also find my tweet about this review (I’m @melysse on Twitter) and retweet it (make sure I’m tagged). Contest is open until 11:59 PM CST on Tuesday, November 17th.